For Caravan Parks across Australia Search Nbtrade.com.au directory, Caravan Parks Ballina, Caravan Parks Byron Bay, Caravan Parks Murwillumbah, Caravan Parks Lismore and more suburbs Nationwide. Make it easy for yourself by searching the listings on Nbtrade.com.au directory. Accomodation ranging from camping, cabins and units at competitive prices. Caravan parks situated on beachfronts and river frontage to Caravan parks secluded in small country towns Nbtrade.com.au Caravan Parks directory has got you covered. Search our listings for Caravan Parks Tenterfield, Caravan Parks Kyogle, Caravan Parks Casino and more places local to you right across Australia. 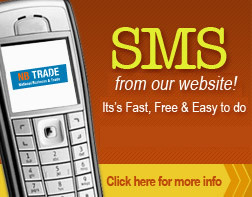 Email or SMS straight from out Caravan Parks directory. Don't be bombarded with misleading advertising, confusing claims and simply bad information. Nbtrade.com.au provides all the information you need. From contact details to specialties. Helping you source Caravan Parks of the highest quality of care. Look no further then Nbtrade.com.au with the best and most popular in your local area.